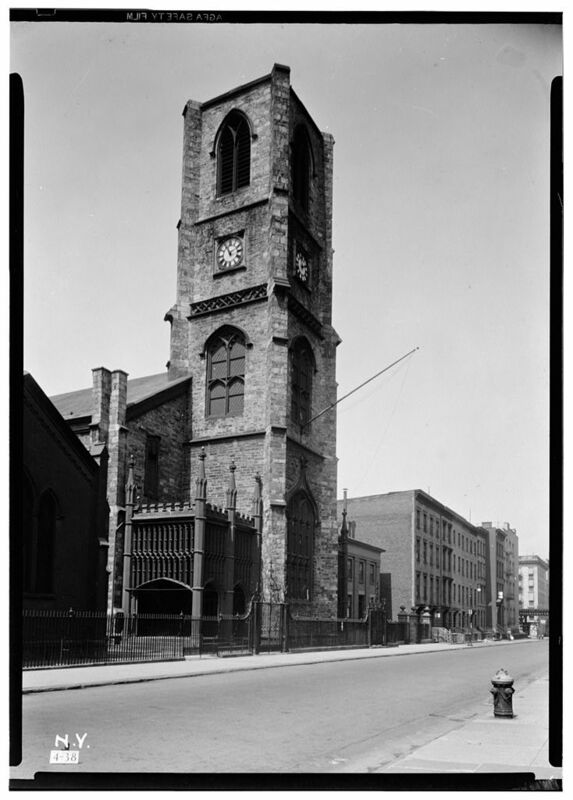 This year marks the 175th anniversary of the opening of St. Peter's Church in Chelsea, which was designed (in part) and financed (in large part) by Clement Clarke Moore, author of A Visit to St. Nicholas (aka 'Twas the Night Before Christmas). Moore was descended from distinguished New York families: his large family estate, Chelsea, which gave rise to the modern-day neighborhood, had originally been owned by his grandfather, Major Thomas Clarke, a veteran of the French and Indian War. Moore’s father, Bishop Benjamin Moore, was the head of the Episcopal Diocese of New York and twice president of Columbia College. In 1817, soon after Bishop Moore’s death, the Episcopal Church convened in New York to establish the General Theological Seminary. 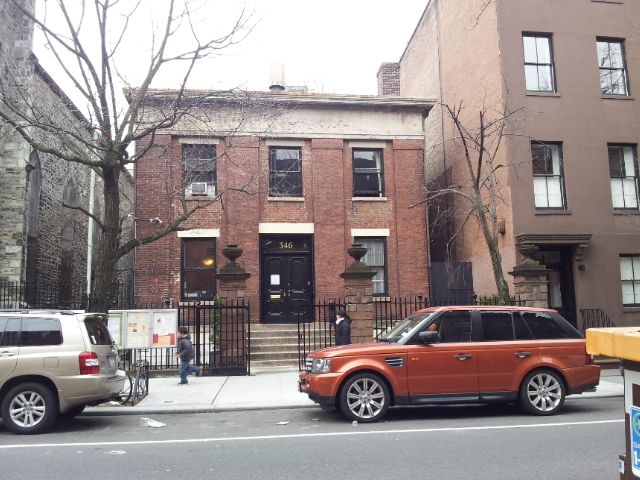 Jacob Sherred, a member of the Trinity Church vestry, donated $70,000 and Clement Clarke Moore agreed to donate 66 lots from his Chelsea estate to house the school. (The seminary met elsewhere until construction could begin in the 1820s.) Moore, already the author of a well-regarded Hebrew lexicon, was also hired to serve on its faculty, teaching Biblical languages until 1850. At first, residents of Chelsea attended church services at the seminary. 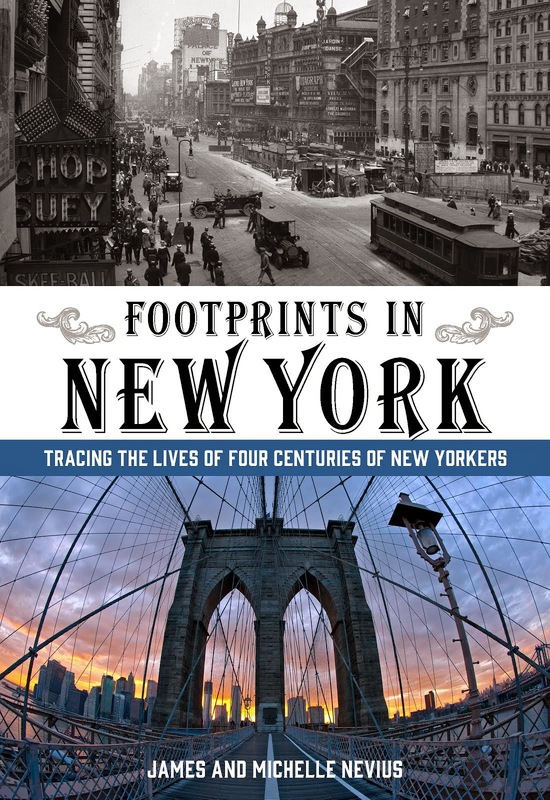 However, as the population in the area began to grow--in part because Moore was making a killing selling property on the newly created Manhattan street grid--it was decided that a proper parish church should be erected. In February 1831, a handsome Greek Revival chapel was built on land leased to the parish by Moore. Walking by this building today--which serves as the rectory--you'd be hard pressed to realize it once had an ecclesiastical function. Indeed, it had always been built with the idea that it was simply the first building in a complex that would eventually contain a much larger Greek Revival church. However, when construction on the new church began, tastes had changed and the Gothic Revival--formerly shunned in America for being too Catholic--was beginning to take hold. In conjunction with James W. Smith, Moore designed the restrained Gothic church. 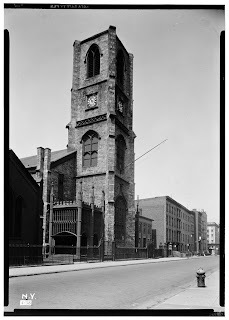 The new church opened in February 1838, two years before Richard Upjohn's magnificent Church of the Ascension on Fifth Avenue (which is considered by some to be the oldest true Gothic Revival house of worship in New York). 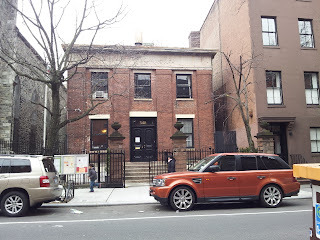 When you visit St. Peter's on West 20th Street, there appears to be a third church on the property as well. It sits just east of the main church, and is today used by the Atlantic Theater Company as their main stage. While this building had a Victorian Gothic refit in 1871 that made it look like a chapel, it always served as the parish hall. Actually, the oldest part of the complex is the fence. According to the AIA Guide to New York City, this wrought iron gem comes from the second version of Trinity Church, Wall Street. There have been three Trinity Churches on Wall Street; the first burned down during the Revolution; the second was surrounded by this fence. When the second Trinity was felled in the late 1830s to make way for the current incarnation of the parish, the fence was moved to Chelsea. Wonderful write-up on St. Peter's. My dad was vicar there in the 1960s and early 70s, and I grew up in the rectory. Two minor corrections: The tower is part of the original construction, not an addition of 1888. I can send you an early print of the church if you'd like. Also, although the wrought iron fence was given to St. Peter's by Trinity Church. it actually comes from St. Paul's Chapel, which replaced its fence with the current Greek Revival fence about the time St. Peter's was built. It shows up in numerous early prints of St. Paul's.